How do you tell the story of one of the most famous tech minds in living memory without making it a complete bore? This was pretty much the question that pushed me to watch Steve Jobs. I mean, he was an interesting guy, with an interesting story, if you’re into that kind of thing; but to spend two hours watching a film about the man that made Apple the brand so many of us rely on today doesn’t sound like an interesting prospect to me. As it turns out, there are a few ways that you make the film interesting. First and most importantly, you give Aaron Sorkin a copy of Jobs’ biography and let one of the greatest screenwriters working today have a go at bringing one of the greatest salesmen to ever live to the big screen. Secondly, and this one both surprised and impressed me, make the conscious decision to not make a biopic and instead focus on making a drama that just happens to be about the Apple co-founder. Finally, do something original, something a little different to make people stop and take notice and think “OK, that could be… worth a look”, and I admit I fell for this one hook, line and sinker as the film takes the thing we all knew Jobs from, his marketing presentations, and makes them the focus of our time with the man. Made into three very distinct acts, Steve Jobs is set in the moments before three of these presentations. While not necessarily the most famous of his endeavours, we spend time with Jobs before the announcements of some of Apple’s most important, and the tech genius’ most significant, product launches. Beginning in 1984 with the introduction of the first Macintosh computer, the machine that was to usher in a new era for the company and refresh the look of the already dated Apple 2. We meet Michael Fassbender’s titular Jobs as he is fighting to make his demonstration model do what he promised it would do mere minutes before he is due to show it off. The pressure mounts as Steve is forced to deal with confrontations with his friend and company co-founder Steve Wozniak (Seth Rogen), his boss John Sculley (Sorkin veteran Jeff Daniels) and former girlfriend Chrisann Brennan (Katherine Waterstone). The confrontations are still going strong into 1988’s NeXT education focussed computer announcement and continue on for more than a decade to the groundbreaking iMac announcement in 1998 as the visionary’s personal and private lives both reach critical mass at the end of the 90’s. Between the daughter he refuses to acknowledge as his own to the friend he refuses to cut loose, Steve’s personal life can’t help but get in the way and force his focus elsewhere whilst he’s trying to prepare for these life changing events. Knowing an appearance from management can only spell bad things, the arrival of Sculley to play the part of Jobs’ boss can only make matters worse. With each presentation the personal stakes are increased and the business pressure is ramped up for the salesman who can’t seem to get five minutes to catch his breath and take stock of what’s going on around him. The thing about Steve Jobs: The Movie is that even after several attempts, I can’t write a synopsis that sounds interesting. It’s next to impossible to make a film about a guy who sold computers sound like it’s going to be worth your time. But, as it would turn out, it’s very, very good. 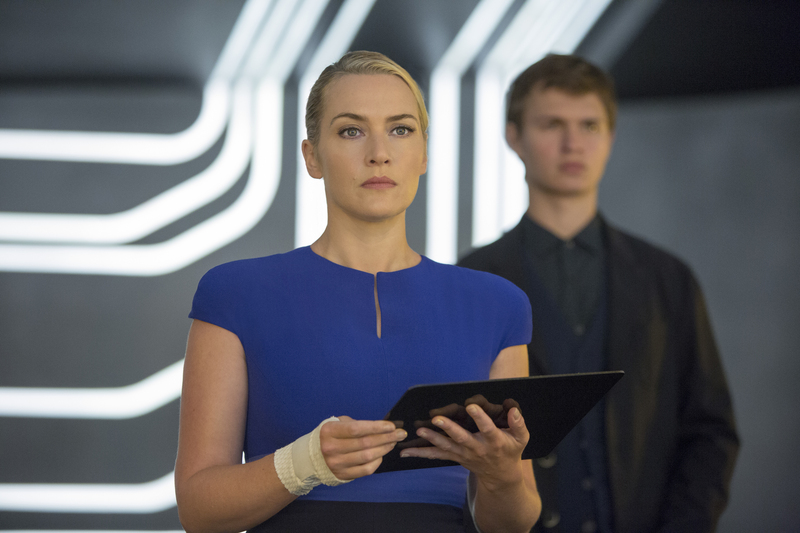 It’s a great tag-team of spectacular direction from Danny Boyle – those that know me know how much it hurts me to say that – and first rate writing from Aaron Sorkin. Honestly, I think the boldest move that Trainspotting director Boyle made was to cast a film full of real life people, most of them still alive, with a cast of actors that look nothing like the people they are portraying and then NOT put a few inches of makeup on to make them look like the famous people they are acting like. Boyle took top notch actors, for the most part, and instead of making the film about how much someone looks like someone else, he let the script do the talking and let the stories be told to the audience by the world class group of guys on the screen. And “world class” is right. Michael Fassbender’s portrayal of the much loved tech salesman is pure genius, making the role his own as he angrily storms around in the back halls of his audience filled battlegrounds. So convincing is his depiction of the Apple innovator that by the time we get to see him in his now iconic jeans and black turtleneck, we no longer care that he looks nothing like his inspiration; he is Steve Jobs. His now legendary presentations are marred by his inability to cultivate a friendly personal relationship; opting instead for jumping straight to hostility and while that may not have been the ideal way to go about conversations with co-workers, managers and a young girl whom you refuse to admit is yours, it certainly makes for compelling viewing. At Jobs’ side through this entire endeavour is Joanna Hoffman, Steve’s confidant and closest friend and she is the only person that Steve trusts when everything else seem to be falling apart around him. 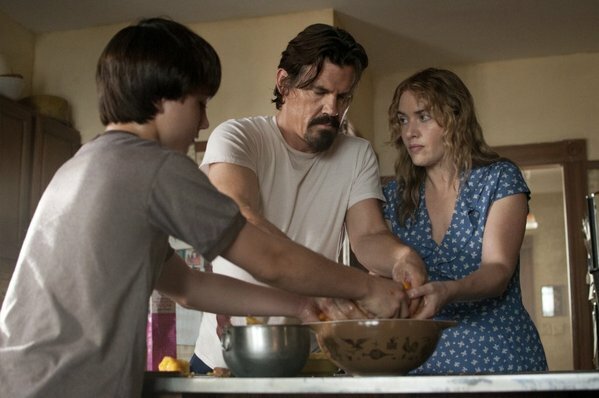 With Kate Winslet in the role that is so important to the subject and the film, an awful lot rests on her shoulders with the fine line between very close friend and something more than that being danced along gracefully by a woman that deserves a supporting actress nod for her efforts here. With Jeff Daniels and Seth Rogen rounding off the cast, with both seamlessly falling into their respective roles, I honestly couldn’t think of a negative thing to say about the choices made in casting if I tried. Daniels’ portrayal of John Sculley, the CEO of Apple and the man responsible for most of the second half of the film, is flawless, seemingly having been in training for Sorkin’s script for three years with his work in the writer’s most recent TV escapade, Newsroom. Similarly, Rogen’s role of Apple co-founder and less famous version of Steve Jobs, Steve Wozniak, was an interesting choice for both director and actor but it definitely paid off. Having taken a few ideas, and maybe some tips, from buddy Jonah Hill – a guy who cut his teeth with serious films recently with an Oscar nominated real life person role in Moneyball – Rogan’s “Woz” is a splendid one. A man whose bond with Jobs let him get away with so much, but having been scorned one too many times by the marketer that he simply loses his cool is played effortlessly and convincingly by a man most famous for making silly stoner type comedies. Getting to take a look at how Steve Jobs was in the earlier years of Apple is a real treat and Danny Boyle has done a splendid job of giving us a glimpse of the man’s life through the eyes of those that simultaneously loved and despised him and while the performances are all amazing and each of those representing the real life people responsible for some of the greatest technological advances in recent memory are putting in an amazing amount of work. The real standout of this show is, as I expected it to be, the writing. I’ve been a fan of Aaron Sorkin’s work for as long as I can remember and I don’t think he’s ever written a dud paragraph in his life. 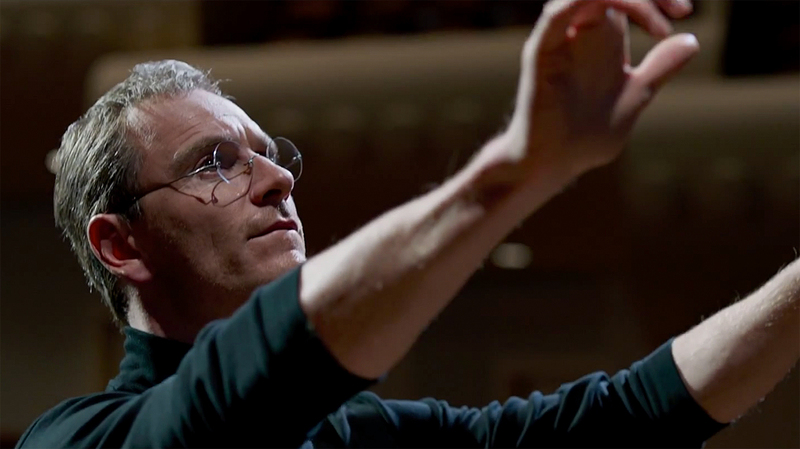 In his second movie where he gets to spend some time with the tech sector, Sorkin proves that he is still best-in-breed with his Steve Jobs script. And whilst the film may be a two hour lesson in Sorkin’s walk-and-talk theatre, it’s a damn good one, and one I can wholeheartedly recommend. And I didn’t like Flushed Away. But it was Aardman! Aardman aren’t supposed to make bad stuff, with the exception of Angry Kid! That confusion and disappointment stuck with me. It stuck with me for a real long time. It festered and festered, until it manifested itself as full-blown hate. There may have been good elements to Flushed Away, but the sheer level of disappointment that the film had visited upon me had completely crushed those elements. Therefore, I was absolutely dreading this part of the retrospective, exactly as much as I was Shark Tale (OK, maybe not, but close). Expectations were low, I had never really gotten over the film the first time, and this series is only 1 month removed from the commonly accepted nadir period of DreamWorks Animation. 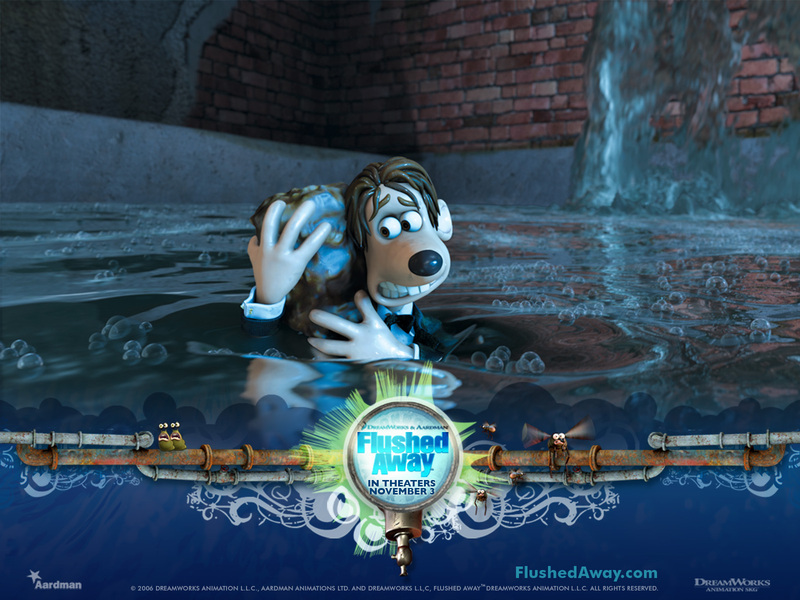 So… I strongly dislike Flushed Away. I don’t hate it anymore, the pain has finally subsided, I’ve come to terms with my grief, and I managed to have some fun with it because it’s not a bad film or anything, but I still very much dislike it. The reason why is basically the same as the reason why I hated it when I was young and impressionable. Flushed Away feels like DreamWorks trying to make an Aardman film, or Aardman trying to make a DreamWorks film, take your pick. Considering how much the two companies allegedly butted heads with one another during production, which represented the final straw in relations between the pair, I’m not surprised that the film feels that way. For example, this was supposed to be a pirate-based film, but DreamWorks nixed the idea believing back in 2001 that pirate movies didn’t sell (although Aardman would get to make their pirate movie after all, but we’ll get to that shortly). Speaking of, music cues in Flushed Away are primarily of the licensed variety, another creative choice that reeks of studio interference from upon high (note how nearly every important scene in both Shrek movies covered so far has been backed by licensed music). Roddy’s trip down the loo to the sewer is backed by “Are You Gonna Be My Girl” by JET because the song sounds cool to soundtrack scenes to, although anybody who actually knows the song and tries to get caught up in it will be driven mad by the awkward editing to keep it at some instrumental part. There’s a chase set to “Bohemian Like You”, again seemingly because it’s a cool song to soundtrack scenes to. They are, I’m not disputing that, but the score is perfectly serviceable in and of itself and, again, their inclusion doesn’t have any reason beyond being cool songs to back things with (there’s none of the irony or joke-enhancing choices present in Pirates!’ usage of punk, ska and Flight Of The Conchords). Well, unless they’re sung by the film’s most obvious comic relief, The Slugs. See, unlike with Wallace & Gromit, which kept the appearance and usage of the bunnies to a minimum lest they run the risk of becoming this, Flushed Away keeps forcing in a group of slugs purely for the kids to laugh at. They always just happen to be hanging around somewhere for a quick gag involving their high-pitch screams or Alvin & The Chipmunks singing of pop songs. Also unlike the bunnies, they feel really shoehorned in, like one of said 27 execs noticed that the script didn’t have enough pop culture references or kid-exclusive gags and that must be rectified ASAP! They only do the pop song thing twice, the other two times they do original compositions (which are eeeeehhh… “Ice Cold Rita” has Hugh Jackman singing going for it, but that’s about it), but they both feel incredibly unnecessary and a scene in which a group of slugs sing “Mr. Lonely” is going to feel like it’s going out of my way to annoy me, regardless of whether it runs for 30 seconds or 10 minutes. Financially… well, the film was doomed to failure as soon as its budget swelled to $100 million, the highest grossing Aardman film is still Chicken Run ($224 million) and a film isn’t considered a success until it has doubled its budget. Nevertheless, Flushed Away marched ahead to a noble failure anyway. The film debuted in third in America, behind a limited release Borat and a wide-release The Santa Clause 3 (side note: Santa Clause 3 happened, folks). Paramount execs (DreamWorks’ new distribution partners, let’s not forget) tried to spin that as a surpassing of the expectations and therefore a good thing, but the arrival of Happy Feet in Week 3 and Flushed Away’s resultant descent into oblivion more than likely put pay to that. Overseas, the film performed strongly, particularly in France and Aardman’s native Britain, enough to get the film technically in the black, but the film still caused DreamWorks to ultimately take a $109 million write-down due to its near-total failure domestically. For starters, in 2007, they found a new partner for feature-filmmaking, in the shape of Sony Pictures Animation (who, if Hotel Transylvania 2 and Genndy Tartakovsky’s Popeye end up as successful as I think they will be, are about to become a major known player in this field). They even renewed their contract with them in 2010 – although they seem to be on their own again for Shaun The Sheep after production on Pirates! ended up more than a little troubled. In 2011, they returned to the all-CG way of doing things with Arthur Christmas and, this time, managed to earn critical acclaim and a relatively decent profit. Then, in 2012, Aardman finally got to make their pirate movie, in the shape of The Pirates! In An Adventure With Scientists! That too received critical acclaim, although an apparently bowlderised US edit and a release date quite literally the week before The Avengers meant that its box office gross was underwhelming.